We help agencies help their clients make a PHYSICAL impact. Click the tiles below to see our latest projects. Learn more from The Sun - WHAT THE FRORK? and Fox News - What the frork? 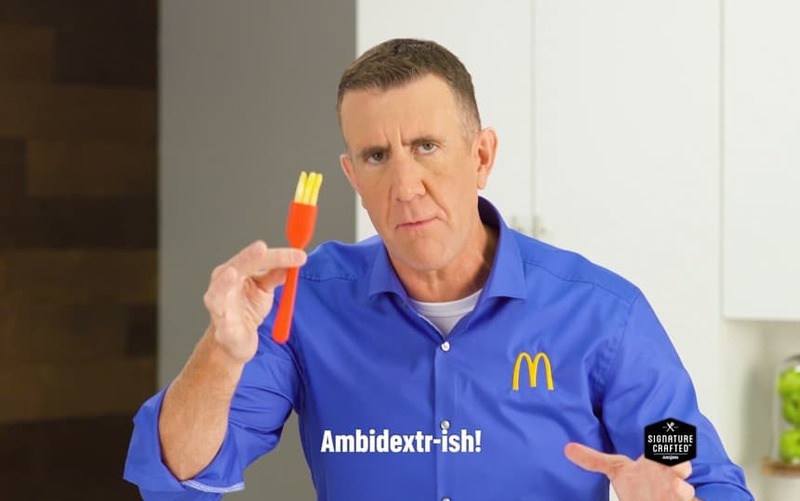 McDonald's customers confused about new utensil and The Mercury News - What the Frork? How to get McDonald’s bizarre new item. 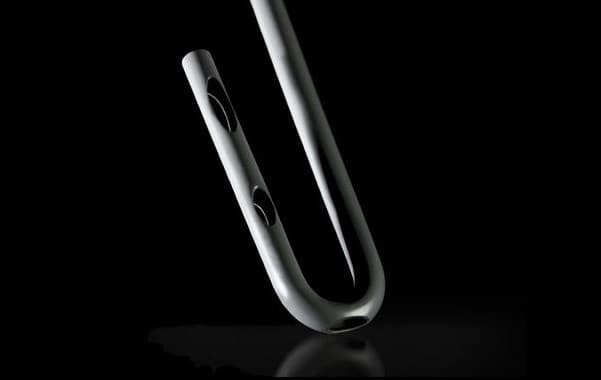 Learn more from Fast Company Design - McDonald’s Just Innovated The Hell Out Of Straws. We developed the Frylus for McDonald's to celebrate National Selfie Day in 2018. Partnering with the one and only Kirby Jenner, we fulfilled the selfie goals of hundreds of thousands of burger and self photo lovers. Collaboration with Golin Chicago. Do you want a lifetime of free McDonald's. Get a chance to win free McDonald's for life by using the Mobile App. Collaboration with WE-Worldwide. 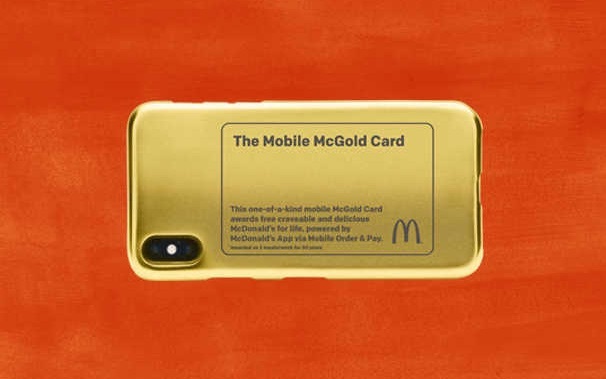 To celebrate the introduction of the McDelivery service in partnership with UberEats, we create a special promotional swag item for the launch. 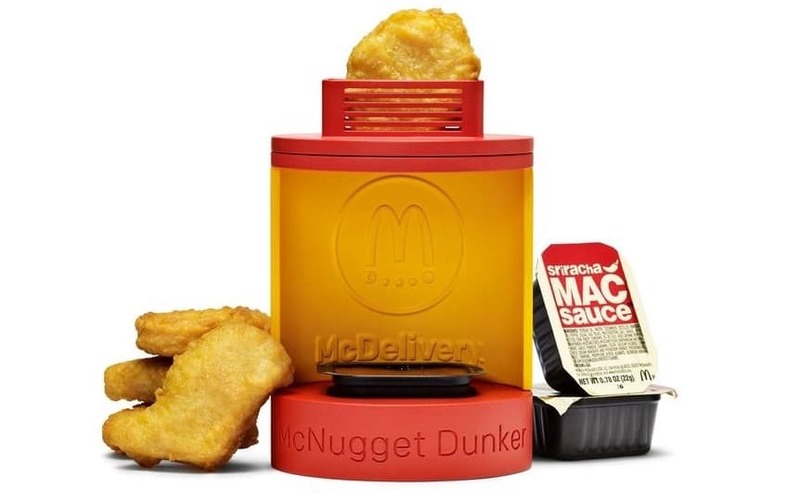 This fun little device turns your McNugget experience into a dunk tank for your favorite McNugget sauce! Collaboration with The Narrative Group. 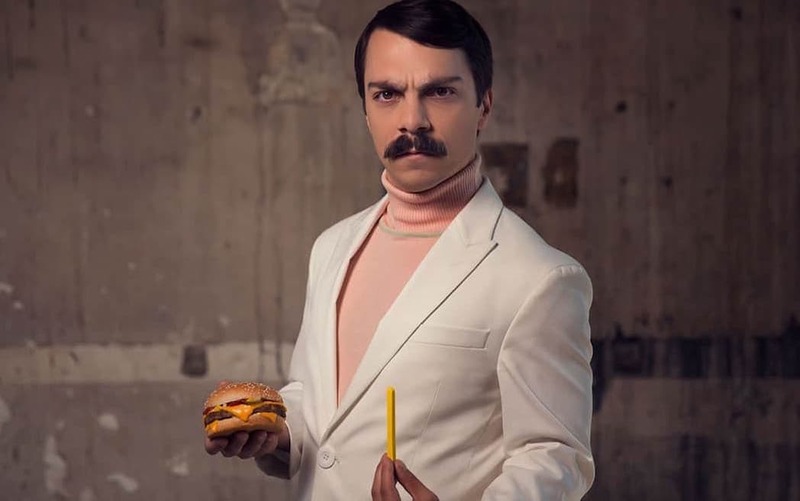 Our latest innovation for McDonald's is a superflously useful, and ludicrously awesome Frork! We helped McDonald's with the industrial design, product design, engineering, tooling, and sourcing. We then teamed up with noted pitchman Andrew Sullivan for the superfluously awesome infomercial. Collaboration with Golin Chicago. We think this world is way too serious. 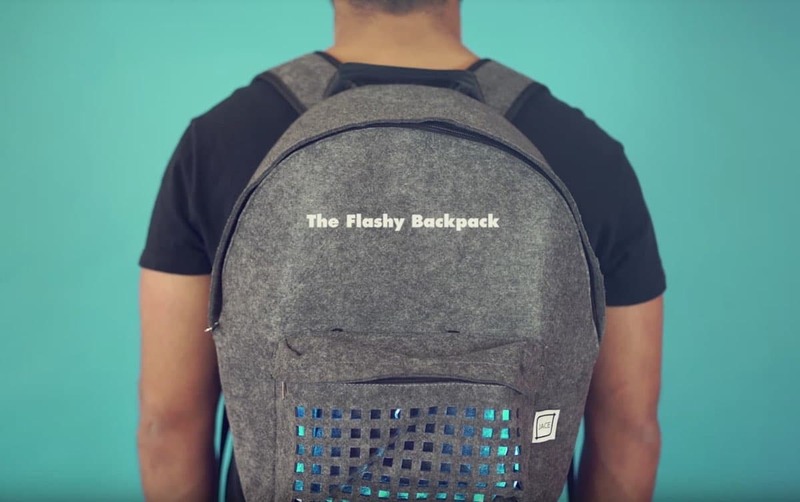 That's why we came up the Flashy Backpack! One look and you're guaranteed to smile. We're sure you'll delight somebody as you walk down the street with this party machine strapped to your back. JACE LLC provided the inital concept development, industrial design, and sourcing. 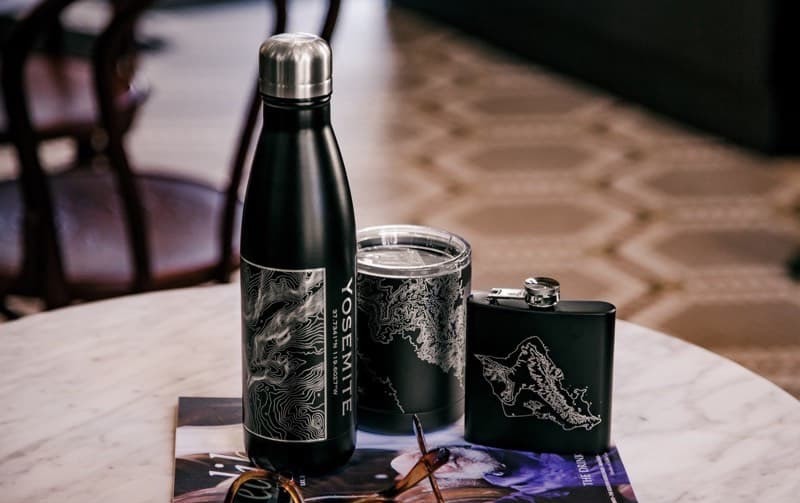 We've developed a simple and intuitive front-end to enable customers to easily customize products ranging from phone cases to water bottles. On the backend, we've leveraged Node.js, Shopify, and AWS to seamlessly tie in with multiple vendors and fulfillment partners. We worked with Google on Project Ara - a modular smartphone concept. We laid out the initial program goals, requirements, and architectural options and authored the developer's kit. We teamed up with McDonald's to create an absurdly over-top marvel of engineering and design - The STRAW delivers a perfect combination of mint and cholocolate flavours for you to enjoy the dual-layered Cholocolate Shamrock Shake. We provided the initial industrial design then oversaw the product design, sourcing, and testing. Collaboration with Golin Chicago. We are a team of designers, engineers, and product managers with deep expertise and a network of world-class partners. We work with leading companies like Google, Motorola, and McDonald's to create products that make a statement. JACE was founded by Elwin Ong, a PhD. rocket scientist from MIT with a decade of experience in aerospace, defense, and consumer electronics. Our team's diverse backgrounds include industrial design, architecture, hardware design, computer aided design and modeling (CAD), software engineering, and project management. Tell us about your project. Send us an email at info@jacellc.com or use the form below. Thank you for your note. We will reply shortly.